In just two and a half weeks Lexington, Kentucky will once again open it’s doors to dairy farmers and beef producers from across the world. These agriculturalists are coming together for Alltech’s Global 500. The Alltech community offers an opportunity to find answers to your questions. What are the modern challenges of animal production? How to target performance and profitability? 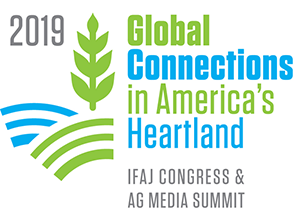 I am excited to attend this years event and during the National Association of Farm Broadcasting’s Trade Talk I had a chance to talk with David Butler, Web Marketing Manager for Alltech. He offered insite to the upcoming event and shared what hot topics will be discussed. Alltech is also holding a Farms In Focus photo contest to be judged during Global 500. Snap a photo of what dairy farming means to you and submit at Alltech.com/farmsinfocus. Share via Facebook and Twitter, get all your friends to vote during the event for a chance to win $300.